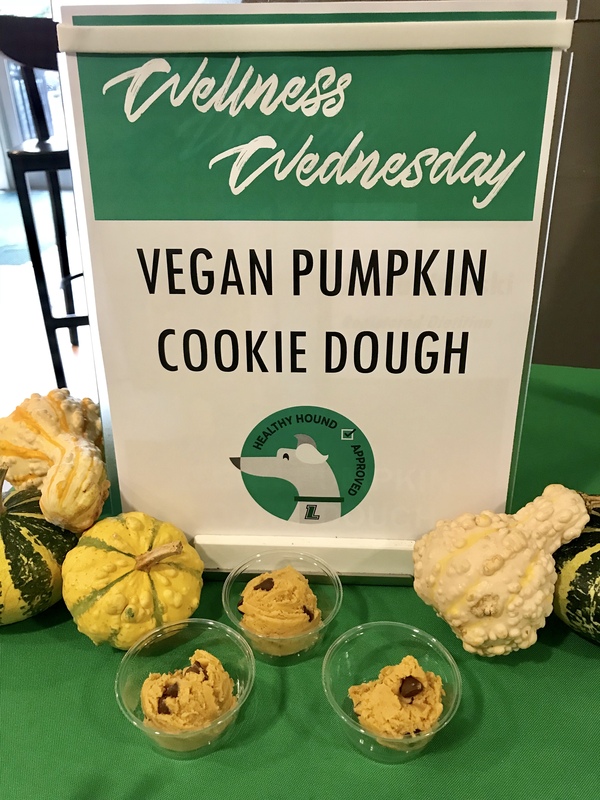 Two healthy treats, Vegan Pumpkin Cookie Dough and Pumpkin Spice Energy Bites, were served on campus, in Boulder Garden Cafe and the Fitness and Aquatic Center, respectively. Unsurprisingly – it is October, after all – these pumpkin delights were a huge hit! 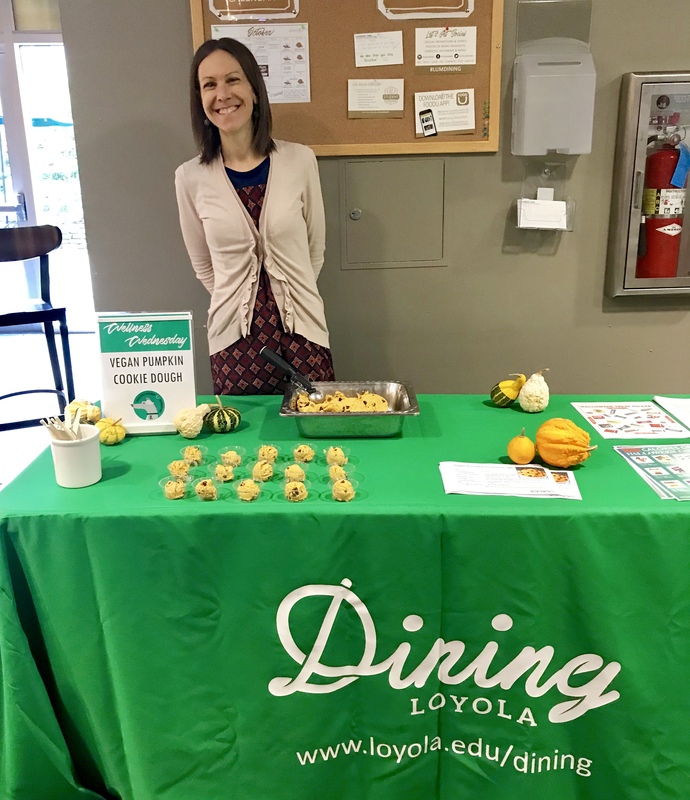 Lots of students stopped by to try them out, and were excited to discover that both recipes were no-bake, and required relatively basic ingredients. Ready to make your own nutritious pumpkin treats? Happy (no)baking! 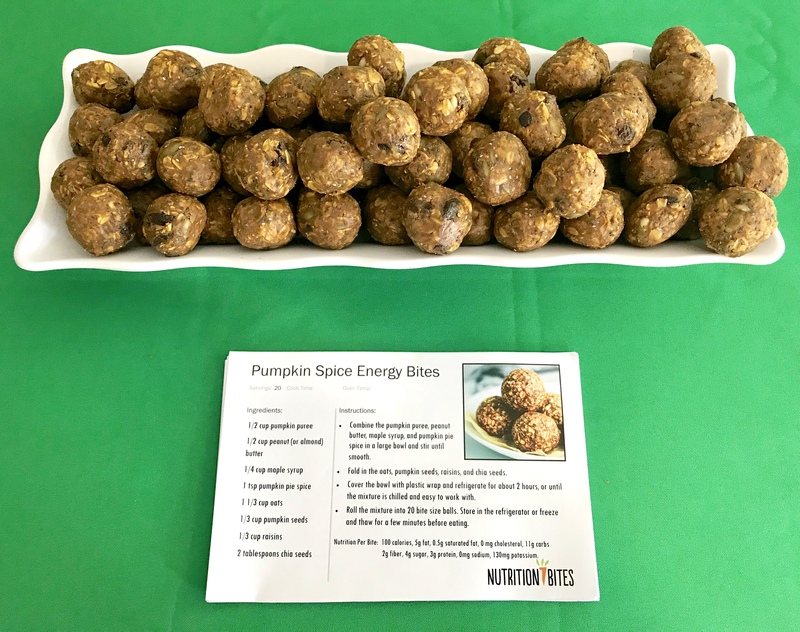 Be on the look out for more #NutritionBites recipes from Alicia as she travels to other Parkhurst sites. Stay tuned!